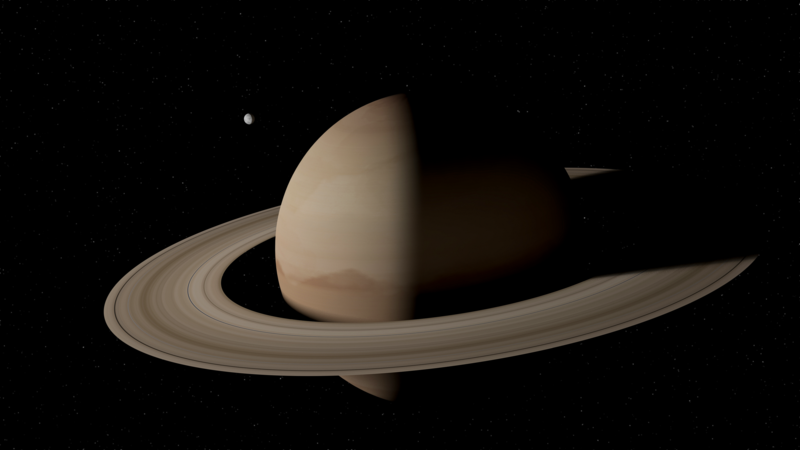 A 3d rendering of Saturn and a moon. Not intended to be accurate in any way, just visually pleasing. modelled and rendered in Maya with textures and post editing done in Photoshop. Download the full 4k image for use as a wallpaper Here!